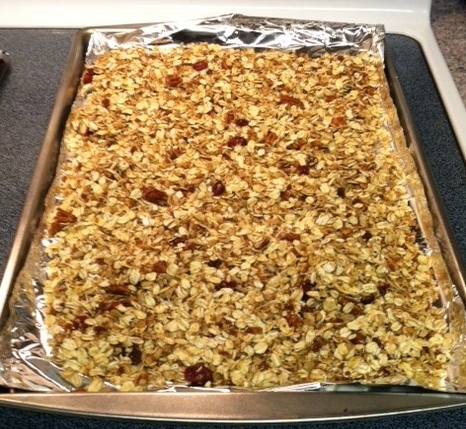 Gone for me are the days of homemade granola, donuts, cinnamon rolls (whine), chocolate cakes (I have a killer recipe too), and Hershey chocolate bars (no, what?). Suddenly I came to the conclusion this summer that if I keep on eating this way I could become the first person in my family to be a diabetic, because I love sugar. I could say “live for today”, ignore the warning signs and grab another cookie. But there’s something about standing in a clothes store and realizing that nothing fits that brings a woman the truth on a silver hanger. Then there’s the invasive blood tests that go inside your body and reveal your innermost secrets, that you really can eat yourself into an early grave. I am into my fourth week of a seventeen pound diet and down over six pounds. Life is boring without the instant gratification of chocolate, pies and coffeecakes. Dessert now is a handful of blueberries. Woe is me. My pants fit better, my face is thinner, and I have more energy, proving for me that not only is sugar addictive but high fructose corn syrup, which is hidden in numerous ingredients, is almost lethal. It took me two weeks to withdraw from sugar and HFCS. Now I bring my glasses to Walmart and Publix supermarkets so I can read ingredient panels, which are listed in print so small only a ten year old can read them. I’ve signed up for the My Fitness Pal App on my IPad as well as the Happy Scale App. Wouldn’t you know that while looking at new books in the library I found Wheat Belly by William Davis MD, which has some great alternatives for white flour, such as Almond Flour. FYI, Almond Flour is expensive but I compromised by using a five dollar coupon on my groceries at Publix. The book has a recipe for Macadamia Nut Fudge that has 92 calories per serving. Further examination of the recipe revealed that the Fudge is baked in an 8×8” dish and is cut into 32 servings. So that’s my carrot when my last pound is lost, because the Fudge must be tiny-tiny and I’ll only feel a smidgen of guilt, right? Never laugh at a woman’s weight loss goals and tribulations. I went down to a size 7 in 2007 (at age 56) and nearly broke my arm patting myself proudly on the back. I proved to my doctors that age is only an excuse when it comes to weight loss. But it does involve old-fashioned work in the form of diet and exercise, nothing fancy, just step away from bad-for-you food, like donuts and excellent, killer chocolate cake. Was I proud when one doctor complimented me when I came into his office wearing my size 7 skinny jeans and nice fitting jersey top? You bet and if I did it once I can do it again. Just you watch. 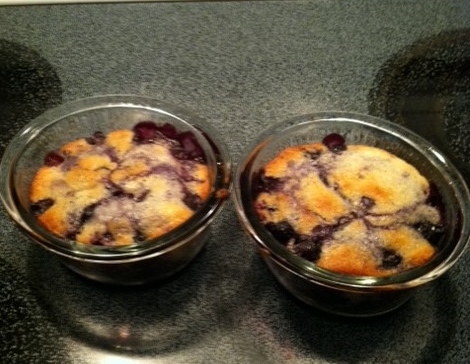 Blueberry Cake Cups-Next time I’ll make this with Almond flour and Splenda. This entry was posted in blueberries, Dieting, Diets, Retirement Life and tagged Blueberry Cake Cups, Dieting, Diets, Homemade Granola, retired life, Wheat Belly. Bookmark the permalink.